Jessica Pilates is run by Jess Curnier, Body Control Pilates qualified instructor. Jess and her team are passionate about training bodies to become fitter, stronger, leaner and better balanced with fewer aches and pains. They love working alongside clients to help them achieve their goals in health and fitness. Their fun, informative and energising workouts will transform your body and leave you feeling empowered. Enjoy looking and feeling younger as you start working on a stronger core, increased flexibility, better posture and greater body confidence. Fed up of feeling unhappy and uncomfortable in your own skin? Keen to look and feel fitter, stronger and younger for longer? Want to be more active and toned, have a stronger core, be more flexible and stand taller? Wish you had fewer aches and pains? Eager to exercise in a small group environment where you receive individual attention, hands on correction, and exercises tailored to you and your needs? 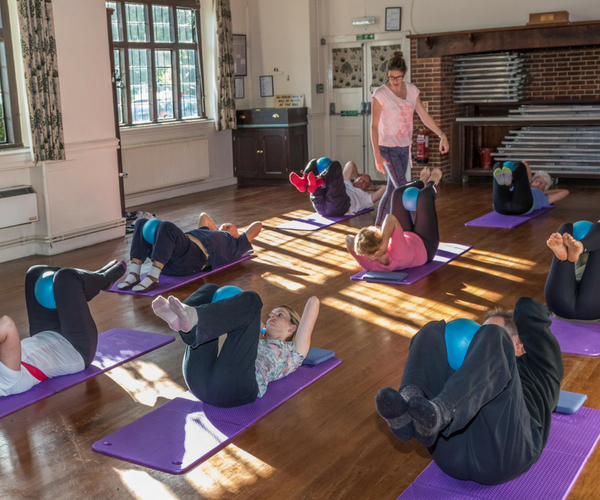 Click below to find out how our ‘Look and Feel Fitter, Stronger and Younger with Fewer Aches and Pains’ classes can help you. Tired of struggling with chronic pain day in, day out? Tried every form of medical and holistic treatment under the sun but still in pain? Want to get back to being active but worried about aggravating your pain? Know you need individual attention and an exercise programme specifically tailored to you and your needs? Keen to start Pilates but don’t yet have the confidence to join a group class and would like to learn the basics on a 1:1 basis first? Click below to find out how our ‘Relieve your Aches and Pains and Get Back to Living the Life you Love’ private sessions can help you. Love Pilates but can’t commit to attending a regular weekly class? Want to exercise and get stronger, fitter, more flexible and more toned from the comfort of your own home? Keen to make sure you’re performing the exercises as correctly as possible to avoid the risk of injury? Want to compliment your weekly Pilates/exercise class with a home work out that’ll leave you seeing and feeling results faster? Would love your home work-outs to be tailored to you and your specific health and wellness needs? Click below to find out how our ‘Individually Tailored Exercise at Home without Risk of Injury’ workouts can help you. I took up Pilates as a complete novice following a hysterectomy. From initial contact I found Jess very professional and friendly in her approach. It reassured me that she was able to organise and manage a class. Jess explains every move clearly and then helps each class member perfect their posture to reach their full potential and does so without making you feel uncomfortable. 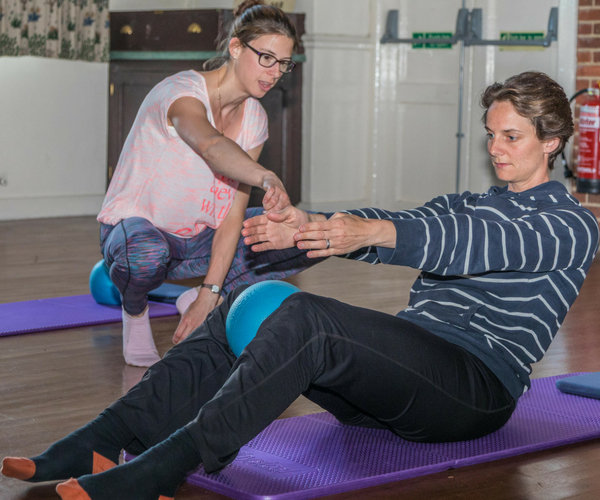 So, whether you’re a complete beginner or advanced, Jess makes Pilates very enjoyable. Prior to attending Jess’ Pilates classes, I’d done Pilates for 5 years and had a good teacher during this time. Within a few weeks of Jess’ classes I discovered what a difference a brilliant teacher can make: Jess is an exceptional Pilates teacher – she’s taken me further in 6 weeks than I’d managed in 5 years – and that’s truly remarkable. As someone with spinal injuries, I’ve been amazed at how she’s helped me improve my posture, flexibility and sense of overall well-being without ever straining any muscles or stressing any joints. I wouldn’t hesitate to recommend her classes to anyone and everyone – whatever their level of fitness or experience of Pilates.